In my first blog on medicinal native plants, I suggested it was worth knowing about plant uses in case of economic meltdown and the end of the fossil-fuel era. I forgot to mention earthquakes. Here in the relative safety of Lincoln, I’ve just filled 2 containers with drinking water to take home. We’re among the fortunate people who have running water back on, but we Cantabrians aren’t used to the taste of chlorine, and anyway, all our city water should still be boiled in case of contamination. With our consciousness raised on ways to avoid stomach complaints, I think it’s time to discuss the plants that were used to alleviate diarrhoea. 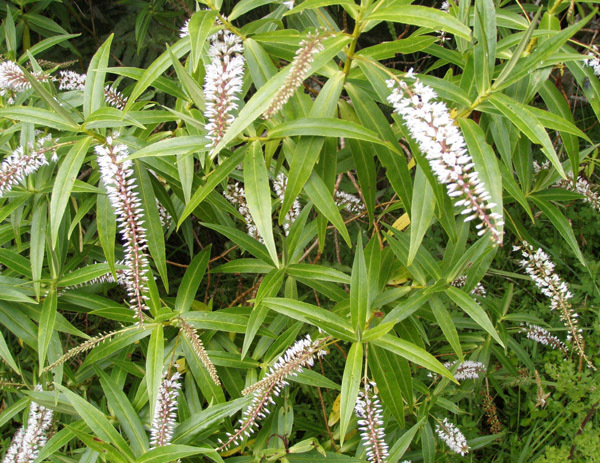 The most well known and widely regarded is koromiko or kokomuka (Ngai Tahu), Hebe stricta, H. salicifolia and related species. 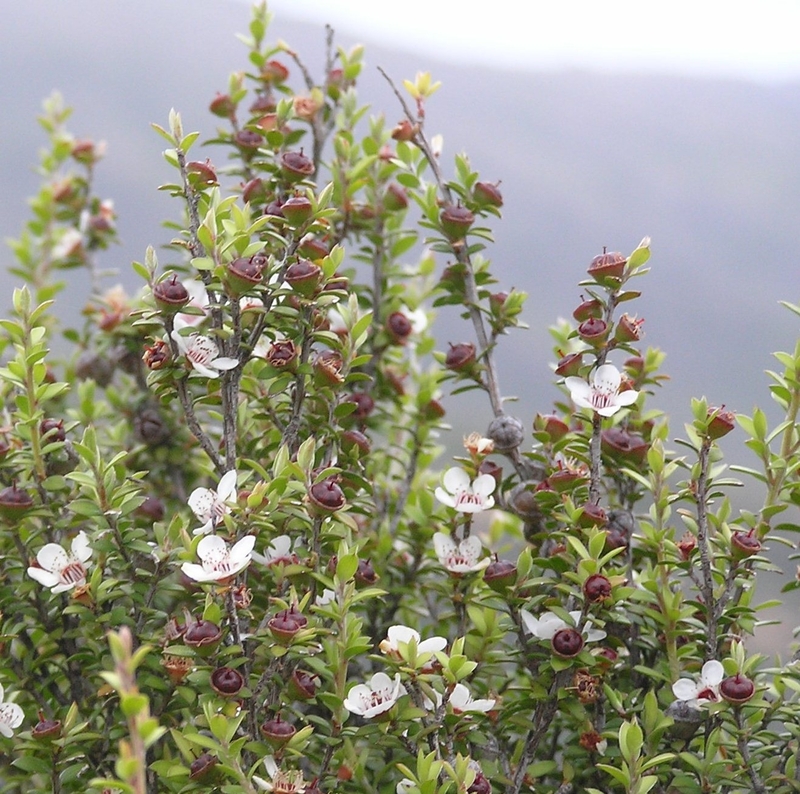 Both are widespread, and H. salicifolia grows on the Port Hills, Christchurch. An effective and easy remedy is to pluck about 12 of the young leaf buds, which have not yet opened. Chew them, but don’t swallow the leaves, just the saliva that is produced. You can also make a stomach-calming (though rather bitter) remedy by boiling the leaves in a cup of water for about 10 minutes or until the water is coloured. Dosage is a teaspoon for a child, or a tablespoon for an adult, twice a day. During the two World Wars, Maori families sent dried koromiko leaves to their whanau in Egypt to help with stomach problems. The NZ Army became interested in clinically testing its effectiveness to help their dysentery–affected troops, but in the end decided they had sufficient effective drugs on hand. The Christchurch Botanic Gardens also sent koromiko seeds to Russia in the late 1930s for military usage. Another lesser know remedy for diarrhoea is to chew the seed capsules of manuka, Leptospermum scoparium, and swallow the juice. They can also be boiled and the liquid drunk. Should you decide to try these remedies, be sure you have correctly identified the plant! Sue Scheele has contributed 5 entries to our website, so far. View entries by Sue Scheele. Useful, might grow one just in case the volcanoes take off up here!